Before we ring in 2019, our crews will continue leaf removal to make way for pine straw and mulch. 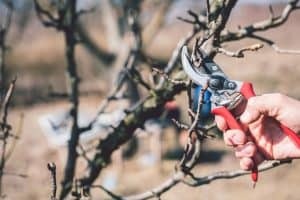 You will also notice crews pruning in the next few weeks and spraying weed control throughout December and January. Please contact your Maintenance Account Manager if our men do not take care of these for you. There’s nothing more beautiful than a manicured lawn glowing with Christmas lights! A common fungus this time of year is brown patch. It occurs after periods of prolonged moisture, but can be treated with appropriate fungicide. 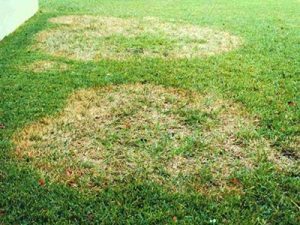 If you suspect brown patch has infected your turf, reach out to your Maintenance Account Manager immediately. Our crews will be checking your landscape as well.